The intent of the Water Conservation and Quality Improvement grant program is to assist local governments in addressing issues that enhance valley-wide sustainable use of water. 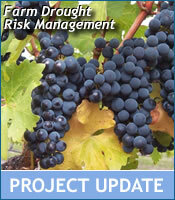 Projects were selected for recommendation based on a range of factors – including how well the project matched the goals of the program, the availability of funding, and whether the project supports other regional initiatives such as the Okanagan Basin Water Supply and Demand Study and OBWB policy recommendations. The City of Armstrong will undertake a leak detection program on its own distribution system as a way to reach its water conservation goals. 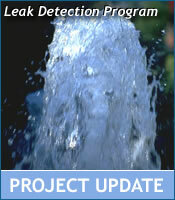 Leak detection and repair is one of the most cost effective water conservation activities. 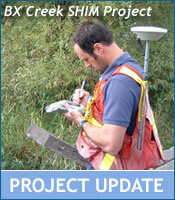 The North Okanagan Regional District and City of Vernon will complete Sensitive Habitat Inventory Mapping (SHIM) on the BX Creek. The project will collect data on the health of riparian areas, fisheries values, human modifications, water intakes, storm water outfalls, erosion and other water quality concerns. Projects that contribute data to large regional efforts are given high priority for this grant program and this project complements and extends work already done in the North and Central Okanagan. The data will be used by planners at the Regional District of North Okanagan and the City of Vernon. Greater Vernon Services will install, operate and maintain hydrometric stations for three tributaries into the Duteau Creek system. The data will allow GVS to establish best management practices for the Duteau source. Hydrometric monitoring is a high priority for the OBWB and a vital component of the Water Supply and Demand Study, in addition to contributing to the hydrometric network of BC. This grant application will monitor water levels on Ellison Lake and Middle Vernon Creek by re-installing two water level recorders. The Oceola Fish and Game Club will also undertake a planning process for lake and stream management to develop a voluntary water level management plan. This project supports coordinated water management planning and is a collaborative effort with support from Ministry of Environment, First Nations and many other partners bridging fisheries and agriculture interests. 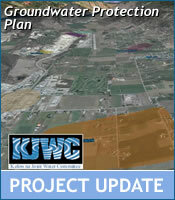 The KJWC will accurately delineate well capture zones in addition to completing an inventory of contaminant sources within these zones in order to provide risk management recommendations for water supply. This Groundwater Protection Planning will contribute data to ongoing research work being conducted by the Groundwater Assessment of the Okanagan Basin and the Canadian Water Network. This study will survey farmers throughout the entire Okanagan Valley in the summer of 2007 to determine the strategies they use to prepare for water shortage, how they cooperate for water conservation and manage drought risk. Understanding how farmers maximize water resources will be important for developing agricultural water conservation policy throughout the valley. The City of Kelowna will map and inventory approximately 57 wetland areas in the City of Kelowna in a similar manner to the SHIM method. 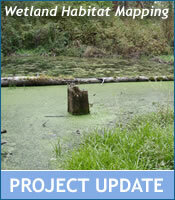 This project is a partnership with Ducks Unlimited Canada. These results will be used by city planners to reduce potential impacts of development. This project will restore and enhance a 1.7 km section of stream by establishing riparian planting, erecting livestock exclusion fencing, and installing 12 rock riffle structures to reduce stream energy and improve channel stability, stream shading and long term water quality. A Water Use Plan for Mission Creek will be developed to address large scale water use challenges such as competition for water between fish, farmers and domestic users. The Water Use Plan involves a cooperative decision making process to agree on tradeoffs during water shortages. 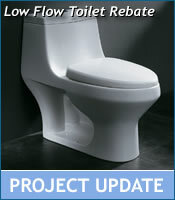 A portion of this project is to improve understanding of instream supply and demand. This information will be valuable for the ongoing Water Supply and Demand Study. Last year the Board funded the development of a teacher’s guide as a companion to the Waterscape Poster, and this project is the continuation of that initiative. This phase will facilitate outreach and instruction to teachers on how to implement the educational Teacher’s Guide to the Waterscape Poster with their students. 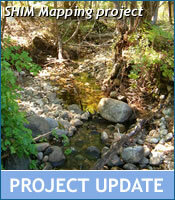 SHIM in Lakeview Irrigation District will collect data on areas of water quality impact (erosion); indicate where restoration is appropriate, and form a component of the Source Protection Plan for the watershed. This project will contribute data for the Central Okanagan area and complement efforts by RDCO to accurately map the region. This project will install hydrometric stations on Upper Powers Creek to determine how ground water extraction by proposed development affects surface water supply to the district. The findings of this study can be applied to the Water Supply and Demand Study and the Groundwater Assessment of the Okanagan Basin. Sensitive Habitat Inventory Mapping will be initiated in the South Okanagan with mapping to be concentrated in areas of high development. Environmental activities in this respect are new for RDOS. 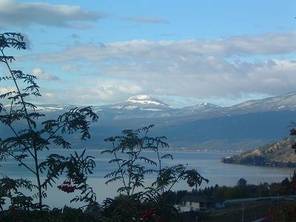 Projects that contribute data to large regional projects are given high priority for this grant program; SHIM has been completed extensively in the Central Okanagan Regional District thus efforts in RDOS will complement this information. This project compliments the education program undertaken by RDOS with last year’s WCQI grant funds. This project will contribute to reductions in water demand. This project will create a web based tool for farmers to access information about their water usage. This is a joint project between the District of Summerland and Greater Vernon Services and the product will be used by agricultural customers in both areas. 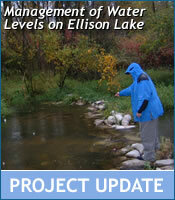 This project will contribute information to the Water Supply and Demand Study. This project will provide information about agricultural water use for different crop types and will support the Water Supply and Demand Study. Agricultural metering is given a high priority for this grant program. 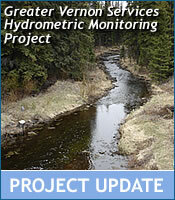 The City of Penticton will install flow monitoring equipment for Ellis Creek. Hydrometric monitoring is a high priority for the OBWB and a vital component of the Water Supply and Demand Study, in addition to contributing to the hydrometric network of BC.